Ahead of Thursday’s election we gave the leaders of the main political parties on Central Beds Council the chance to explain why you should vote for their party. Judge people not by what they say they will do but by what they do. The Conservatives have frozen Central Bedfordshire’s council tax for five years, saving an average household £220 per year, while at the same time improving services and progressing town improvements. We all want the best for our children and are investing over £100m on new and expanding schools, including Leedon Lower, Clipstone Brook Lower, Greenleas Kestrel Way Lower, and expansion of Vandyke. 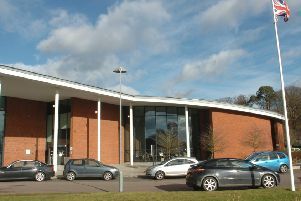 Elsewhere the Library Theatre and Tiddenfoot leisure centre have been refurbished. Astral Park has opened and is proving a great success. We are investing in infrastructure with the new M1-A5 link providing a direct link to the M1, resurfacing of many major roads, broadband roll out and critically we are seeing real growth with 7,000 extra jobs. Conservatives will continue to deliver better services and value for money to residents , not false promises. Education – Slow to provide schools for new estates – and then built them too small! Finance – They claim to have frozen council tax - but only by scrapping school crossing patrols and then closing public toilets and asking town councils to pay for them but not passing on the rate support grant to those same town councils. Homes – Central Bedfordshire have let developers get away without providing affordable houses. Budget management – Central Beds spent two and a half million of taxpayers’ money on a Bedfordshire ‘energy and recycling project’ only to abandon it! Then there’s the aquatic centre that sank into a gravel pit. Vote Labour for a real alternative. We know the value of money but we know the value of people as well. Our consultations will be genuine. Over the last four years the Liberal Democrats have sought to challenge and question the policies of the majority group to ensure that they are fair to all sections of the local community. Whatever size of the group after the election the Liberal Democrats will continue to champion the cause of the most vulnerable members of the community getting the very best deal which is available for them. We will seek to ensure that policies are clear and presented to residents. In our local communities we will support and champion residents who have issues with the council to give them our support in meeting with staff and finding the best way forward for them. We will respond to our resident’s concerns to ensure that the local environment including grass cutting, road and pavement maintenance, street cleaning and removal of fly-tipping is of a high standard along with all the other services which are provided by the council. We will continue to inform residents and work all year round to serve the local community which elected us.